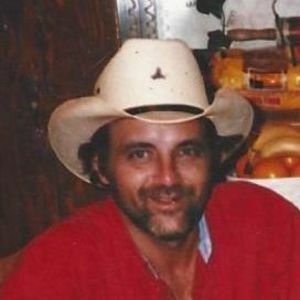 GREENVILLE - Timothy Ray Hornsby, 55, of Greenville, died Sunday, August 7, 2016, at 4:00AM at his home, after a lengthy battle with cancer. Mr. Hornsby was born May 4, 1961, in Harlan County. He was a paver with Yeargers Asphalt Co. in Owensboro, and was of the Baptist faith. He was preceded in death by his son, Timothy Scott Hornsby; father Walter Hornsby; sister Annetta "Lu" Markwell; and brother George Hornsby. He is survived by his wife, Linda Annette Hornsby of Greenville; son Casey Hornsby of Evansville, IN, daughter Amanda (Douglas) Cundall of Leesburg, VA; grandchild Payton Marie Hornsby; mother Jeanetta Hornsby of Central City; brothers Melvin (Sherry) Hornsby and Walter Hornsby, both of Central City; sister Donna (Jeff) Graham of Moorman; and several nieces and nephews. Funeral services will be Wednesday, August 10, 2016, at 2:00PM at Tucker Funeral Home in Central City, with Rev. Jim Winters officiating. Burial in Corley Chapel Cemetery. Visitation will be Tuesday at 5:00PM at the funeral home. Online condolences may be made at www.tuckerfuneralhomes.com. Oh granny I'm so sorry to hear of Timmy's passing. I pray for God to give you comfort and peace. I know it's tough especially since you lost LuLu and now Timmy but don't you worry granny you will see them both again someday along with your other family members that you've lost over the years. He was a good man and fought a long hard battle. He's now cancer free and pain free. He's in a much better place then we are. Lord knows your sorrow and He is by your side. I love you granny and I'm here if you need me. If you don't remember who I am,LuLu was my dearest friend here at the apartments. I am so sorry of Timmys passing. He was such a strong man. He fought the ultimate battle. He will be missed greatly.